They call him The Truth for a reason. Paul Pierce shared a nugget with the media after Wednesday's regular season finale, a 105-94 dispatching of the New Jersey Nets. Comparing his current life with that of a year ago, Pierce laughed telling reporters that he was "on a plane right now" at this time last season. "True story," Pierce said. "I left after the game last year." This year, there's work to be done. "The road to 16," said Garnett, referring to the 16 wins necessary to take home an NBA title. The NBA will release the playoffs schedule in the wee hours of Thursday morning. You'll find it here on Celtics.com when it's official. 93-84 Celtics, 4:51/4th: It's always entertaining to watch the starters on the bench celebrate when Powe scores by outworking opponents in the paint. KG seems to dig it the most. 83-77 Celtics, 8:50/4th: 15 points, six rebounds and an assist has Leon Powe once again in the running for the Celtics.com Player of the Game award. Meanwhile, Nets.com has to be considering Krstic, who's got 13 points and 12 rebounds, although he is just 4/11 from the field. Happy Birthday to old time Celtics rival Kareem Abdul-Jabbar, who turns 61 today. We never liked seeing it go in, but the sky hook was a thing of beauty. 60-59 Celtics, 6:44/3rd: I think Perk's been watching some old Kevin McHale tapes. He just scored on a sweet up and under pivot move in the post. Impressive. Meanwhile, KG played the first five minutes of the half. Now I'm pretty certain he's done for the night. 53-47 Celtics, Halftime: The highlight of the half? Back-to-back threes by Pruitt and Scalabrine. Fight on! 39-36 Celtics, 5:36/2nd: The Nets are shooting their way back into this game. They're 6/9 from the field so far in the second quarter. They've also notched an assist on every single hoop tonight. 25-20 Celtics, End of 1st: This one is kind of a snoozer. If there was ever a game not to "get bored with the process," this tilt will test the guys to the extreme. 21-11 Celtics, 3:03/1st: KG has six points, three rebounds one assist in eight minutes, and he just swatted Krstic's shot into the crowd. That might be the end of his night. 10-2 Celtics, 7:24/1st: All five starters have already scored, which is impressive considering the Celtics only have 10 points. That said, the Nets are just 1/7 from the field (14%) and can't buy a bucket. Paul Pierce took the mic just before tip off to thank the crowd on Fan Appreciation night, and he spoke from the heart, his face lit up with a mile-wide Cheshire cat grin. "The last two or three years, I promised you guys better days," Pierce said. "Well, better days are here." "We were talking in the locker room tonight, we had a good year. We want to make this a great year. In order to get Boston #17, we need to get y'all as loud as can be." He then closed with "Let's Go Celtics", something Red Auerbach once told him he loved hearing at the Old Garden. It looks like everyone will get some rest before the regular season ends. According to Doc Rivers, Rajon Rondo and James Posey will sit out tonight's game, while Eddie House will return to the lineup in the Celtics' final playoff tuneup at the Garden. Along with Kendrick Perkins and Eddie House, Rondo's played 77 games this season, and only Paul Pierce (79 coming into tonight) has appeared in more games for the Celtics. While pundits wondered if Rondo could handle the job of being the starting point guard flanked by a trio of All-Stars, Rondo himself has always spoken confidently about the opportunity, and Rivers has consistently said he wasn't concerned with Rondo's ability to get the job done. "He's come a long long way, but I was not concerned with him, I was more concerned with the backup [point guard]," Rivers said. "Most people were concerned with his ability to make an open jumpshot. They still are. But he'll prove them wrong in the playoffs." With one more game to go in the regular season, the team will do it's best to stay interested. Rivers has stressed to his team on a regular basis, "don't get bored with the process," and for the most part, they've been able to do just that. 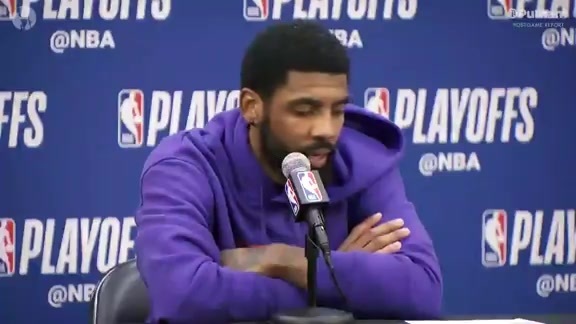 But with the best record in the league, and home court clinched throughout the playoffs, well, understandably, it got a bit tough to keep guys focused. "They've been phenomenal. I think they got bored the last week with the process, there's no doubt about that. Really, [it was] tough the last couple of weeks trying to keep them interested," Rivers conceded. "We've set little private goals for each game just to keep them interested. But they're ready to play meaningful games, I can tell you that." So when will the meaningful games start? The team expects to learn its schedule for the Eastern Conference Quarterfinals against the Atlanta Hawks after tonight's game when action wraps up around the league. Check the Post Ups Notebook after the game to get the latest information. Check the Audio Archive for Doc's full presser and some high praise from Nets Coach Lawrence Frank. The word from P.R. chief Jeff Twiss in Manhattan is that KG, Pierce, Allen and House will all sit out tonight's game against the Knicks. BOSTON (April 14, 2008) - Boston Celtics forward Kevin Garnett was named Eastern Conference Player of the Week for games played Monday April 7 through Sunday April 13, 2008. Nice win for the C's tonight, as Doc kept all of his starters under 25 minutes. Even Scal and Pruitt got some burn tonight, as this game was over after three quarters. With three games remaining, it has to be tempting to consider sitting starters tomorrow night in Atlanta (A) because they'll likely meet in the first round of the playoffs next weekend and (B) it's the second night of a back-to-back on the road. The good folks in Indiana are certainly wondering, as their playoff hopes are pretty well tied to what happens in the A.T.L. tomorrow night. With three games to play, the message has to be what it's been all year: "Don't get bored with the process." Doc's said it all year and it still applies now. And keeping his team fresh remains Rivers' first priority. "I've told them, 'legs over mind,'" Rivers said. "Veterans are smart enough, but we've got to save their legs." Asked if his team has been playing at close to playoff intensity all season, Rivers told reporters that the Celtics have been "pretty close", but said that focus is more important than intensity in the postseason. "I do think there's another level of focus you have to have for the playoffs," Rivers said. "At the end of the day, you have to be who you are. You've got to execute the stuff that you've done all year." Speaking of all year, if anyone's brought it all year long, it's Kevin Garnett, and to that end, he was honored with the third annual Red Auerbach Award tonight before tip off. A student of basketball history, Garnett was humbled by the honor. Garnett said he met Auerbach once when he was in Boston as a visitor. Kevin McHale made the introduction, and Garnett said he will take the memory of the meeting to the grave with him. Garnett told reporters that Rondo was very sick on the plane ride back from Washington, and said he didn't think that he'd be able to play at all tonight. 102-86 Celtics, FINAL: Rajon Rondo is your Celtics.com Player of the Game for his 16-point, 10-assist performance in just 23 minutes. So he's got that going for him, which is nice. 95-77 Celtics, 3:13/4th: Gino Time! 87-69 Celtics, 7:07/4th: Brian Scalabrine and Gabe Pruitt (fresh from his D-League assignment) just checked in; Scal hasn't played in a home game since March 7 vs. Chicago, while Pruitt last appeared on the Garden parquet on January 18. 79-58 Celtics, End of 3rd: Apparently Milwaukee point guard Ramon Sessions is having himself a decent night too; he's got 10 dimes and four rebounds. But the C's are shooting 52.3% from the field through three quarters and that 21-point lead looks pretty comfortable. 72-47 Celtics, 5:30/3rd: The Bucks are fading fast, so their P.R. department did they only thing they could to stem the tide: officially announce John Hammond as General Manager and pass the release out on press row. 57-39 Celtics, Halftime: Just overheard Bob Cousy gushing about Rondo's bounce pass in the paint to set up KG. It's one thing when Tommy compares Rondo to Cousy, but when the man himself is praising him, well, does it get any better than that? 47-33 Celtics, 2:28/2nd: Sam Cassell's played seven minutes, and he's already got three assists, which is as many as he'd logged in five total games from March 26-April 5. Meanwhile, Garnett, Pierce and Allen returned for the last few minutes of the half and appear on track to play about 30 minutes a piece tonight. 31-21 Celtics, End of 1st: 12 points, six assists and three rebounds is a pretty good line for Rajon Rondo, who played the entire first quarter. Do you smell a triple double? KG, Ray and Paul all played about 10 minutes each here in the first, and if House and Powe were available, we'd be curious if they'd even take the court in the second quarter. Perhaps Gabe Pruitt will get some burn tonight. 22-16 Celtics, 3:00/1st: Noteworthy: Dan Gadzuric, who made a habit out of dunking on the Celtics' Director of Sales and Marketing Operations (and Club Green founder) Matt Griffin back in his high school days, got the start tonight in place of Charlie Villanueva, who's battling a strained hamstring. I'd guess Gadzuric would rather battle Griffin than Garnett in the paint tonight. 15-11 Celtics, 5:33/1st: Rajon Rondo's been busy stat-stuffing in the opening minutes, hitting for six points, three rebounds and three assists. The Celtics are getting open looks at the hoop, and it shouldn't come as a surprise; the Bucks are one of the league's worst defensive teams. They're giving up a .476 shooting percentage to opponents, second-worst only to the Memphis Grizzlies. Boston Celtics co-owners Bob Epstein, Steve Pagliuca and Wyc Grousbeck presented the Red Auerbach Award to Kevin Garnett. The award is given to a Celtics player who best exemplifies the spirit of what it means to be a Celtic. This award is named in honor of legendary coach, General Manager, and President of the Boston Celtics, the late Arnold "Red" Auerbach. The Red Auerbach Award was created in 2006. Previous recipients include Paul Pierce and Al Jefferson. With the playoffs around the corner and the Milwaukee Bucks in town, it was a relatively quiet pregame at the Garden tonight. Larry Krystowiak pleaded ignorance about the Bucks finally hiring (although it's not technically official) John Hammond from the Pistons to run their basketball operations. The team has yet to announce it, but Doc Rivers seemed to think the story was legit when he met with reporters. Sorry, Bill Simmons. I guess you're stuck doing what you do best, which is loving the Celtics and giving everyone a reason to print out ESPN.com articles. As for the Celtics, Eddie House and Leon Powe are both out for tonight and tomorrow, according to Doc Rivers. Rivers wasn't 100% positive, but indicated that he believed House had a strained groin, while he said Powe had a minor ankle sprain that he suffered against Washington. As he loves to remind reporters, "Doc" is just a nickname. "We laugh, because when Eddie [Lacerte] says, 'Hey, Eddie [House] has,' I said, 'He's not playing. I don't even let him finish the sentence right now," Rivers said. Aside from the injury update, Rivers talked a bit about why the Celtics have been so good in ATO situations, which for the unhip, are "after timeout" plays. He first responded with, "We have Kevin, Paul..." but when pressed that his team was also good at them last year with a far less talented team, Rivers delved a little deeper. "It's a focus of mine, and we work on it in practice. Every shootaround, I usually give them two and then tell them that there's wings to that play, there's more options to it," Rivers said. "I think when you work on stuff, they tend to execute it very well." Check the Audio Archive for sound from Paul Pierce, Ray Allen, Rajon Rondo and both coaches.